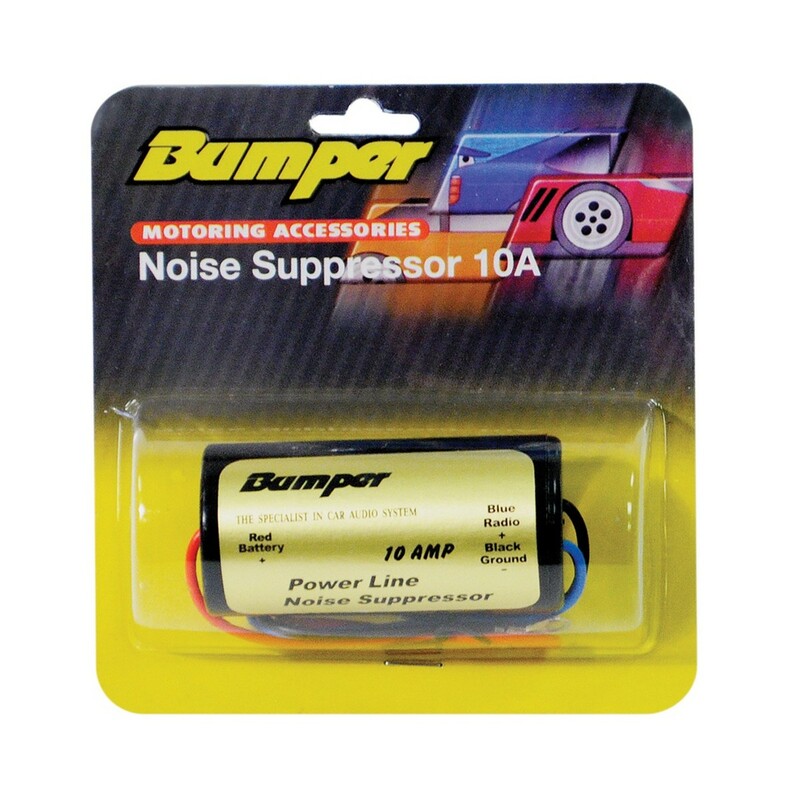 The Bumper Power Lead Noise Suppressor 10A is designed to reduce unwanted interference caused by electrical systems within your car's amplifier system. The 20A suppressor is used for installation within the 12v power lead for sound equipment and then greatly reduces any interference. Static use only. 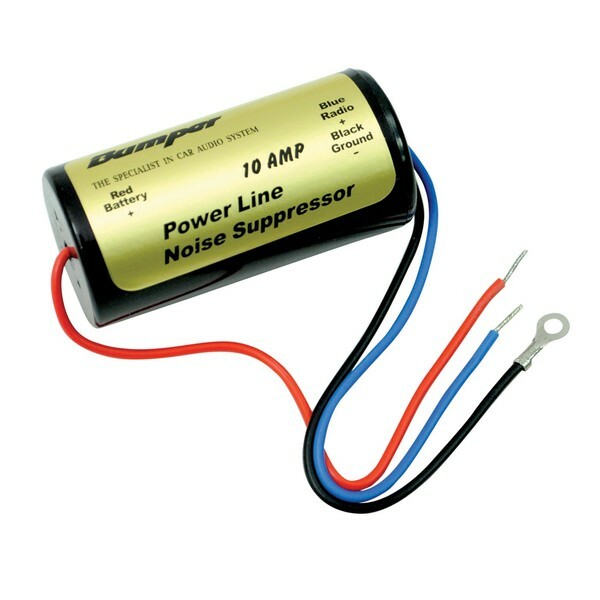 The Power Lead Noise Suppressor 10A is to be installed within the 12v power lead for sound equipment where it greatly reduces any interference from electrical systems. Car amplifiers can emit interference that disrupts the radio or any sound devices that you may use. The interference can be caused by the aerial or the ignition system. However, the power lead suppressor by Bumper diminishes any interference caused by electrical systems.